Crop Circles : Crossovers From Another Dimension is a fascinating documentary made by Norwegian Terje Toftenes, who has 25 years of experience as a video and film maker in Norway, and has won several awards for his productions. It consists of 3 DVD's the first of which is the main documentary itself and the second and third discs contain "bonus" material in the form of interviews with prominent crop circle researchers. The production values are excellent and the overall standard is highly professional. This documentary provides irrefutable evidence that there is a spiritually advanced transdimensional intelligence at work here. Terje Toftenes (Pronounced "Tidy Toftness") has created a masterpiece ! "When I stepped into my first crop circle, well you know it's kind of a cliche to say this but I think my life changed at that moment." "It's totally beyond any doubt that this cannot be a huge co-ordinated organised bluff." "I'd like to say that the crop circles are the only paranormal phenomenon for everyone to see..."
"I hope this film will contribute to spread information and to gain attraction and to inspire people to find out more about this because I think it's one of the most important things that are going on on this planet at the moment. I think it has something to do with our future, I think it has something to do with the way we treat the planet, the way we treat [the] environment, it has something to do with our consciousness, our state of being, and it certainly has something to do with how we are going to survive into the future. And it has something to do with the whole understanding of life, the universe, and spirit and matter and everything in itself so that is why it's so extremely important to find out more about this." 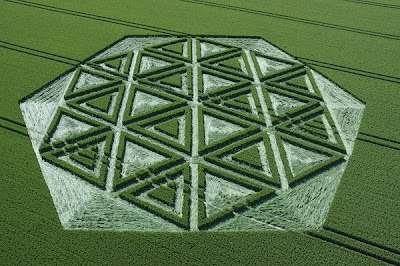 - Hear comments and views of prominent crop circle researchers and visitors to formations (I have listed most of these persons at the end of the review of the documentary). - See many aerial views of crop formations taken from microlight aircraft which reveal their spectacular geometry and perfect beauty. Many other formations which have appeared are presented in a beautiful way which helps convey the seemingly never-ending variety of shape and pattern. 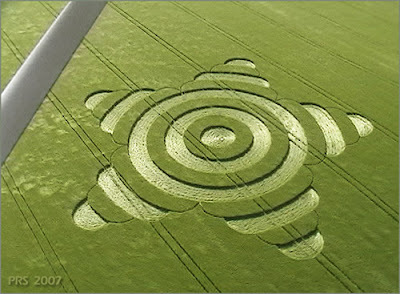 - See the original news report from 1678 of "the mowing devil", believed to be the earliest recorded crop circle report. - Learn that 98% of crop formations found in England overlay chalk aquifers containing underground water. 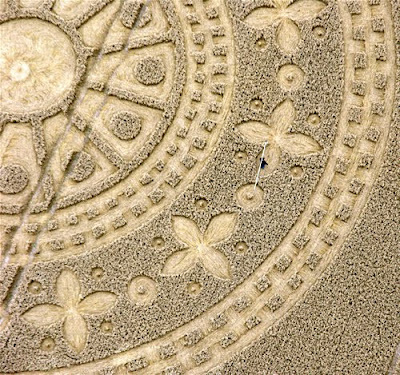 - Hear about Doug and Dave who claimed they were responsible for hoaxing all of the circles using ropes and boards. See some man-made formations. - See physical evidence of a rapid and powerful effect causing expanded nodes and expulsion cavities in crop plants within formations. - See bent ears of wheat become straightened again. See strange metallic spheroids which appear in the soil of crop formations. - Hear about the increases of 10-15 times the normal background radiation levels within formations, the improved growth rates of 10-25% in effected crops, the 50% increase in protein levels of wheat, and the effects this mysterious force has on cameras and on people. - See crop stems which are bent at the base and then all along the rest of the stem there is no damage, no marks, no creases - no evidence to suggest that something physical has been used to flatten the crop. - See fractal designs in wheat fields. "Mathematical fractals can only be made with the help of a computer so how can they be created in a crop field?" - Learn about the amazing mathematical problem known as "squaring the circle" which puzzled mathematicians for over 2000 years. It involves creating a square and a circle whose perimeters are equal. This is in fact impossible to achieve with 100% accuracy due to the impossibility of constructing the irrational number pi. Alan Brown has discovered elegant new solutions to the problem within crop circles! "There's a couple of solutions which are not only astonishingly accurate they are astonishingly simple. I'm just amazed that no-one in the 2000 odd years of people studying this problem haven't discovered them... I mean breathtakingly simple." - More amazing still learn how this relates to the difference in size between the Earth and Moon's radius! Even more remarkable yet is that the same principle is again noticed in Stonehenge in relation to the distance between the inner and outer stone circles!! - Discover that in the Crooked Soley Formation of August 2002, the same ratios re-appear! It's construction is of the most advanced geometry, consisting of 144 circles around a circle; challenging enough to construct on paper. The formation appeared in the middle of a crop field at night, and the center of the pattern was untouched!!! This formation not only in total clarity symbolizes the DNA spiral, but also the squaring of the circle AND the relationship between the Earth and Moon by divine numbers. Simply amazing stuff! "To come up with that, a perfect rotating DNA spiral, encoding those numbers is in itself a work of genius, but then to find that in a wheat field in August, there, beautifully formed; and it seems to me the most sane way of dealing with this is to accept that this is a demonstration of a level of intelligence and compassion towards us which is pulling us up.... it's a truly extraordinary bit of intelligence in geometry"
- See fantastic video footage (about 6 different videos) of mysterious balls of light (UFO's?) hurtling across the fields where crop circles are. Then see footage of black military helicopters chasing them and hanging around! I counted 4 different pieces of footage so this is no one-off! First time I've seen this anywhere. 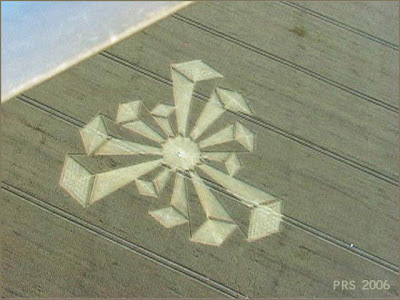 - See film footage taken by John Wheyleigh at Oliver's Castle in August 1996 "The creation of a crop circle". Although some claim the footage was faked you will see a crop circle appear before your eyes in a matter of seconds. Others say the hoax theories are organised debunking as the footage would have a dangerous effect on the public if declared real. Seeing is believing - decide for yourself! - Hear about the amazing Chilbolton Event of August 2001 where the image of a face appeared in a wheat field closely followed by a pictogram which some say is a reply to a message beamed into space in 1974 in Binary Code using Puerto Rico's Arecibo Radio telescope. See the original pictogram sent from Earth and the pictogram reply and be amazed at the information contained therein! "Beware the bearers of FALSE gifts and their BROKEN PROMISES. Much PAIN but still time. There is GOOD out there. We oppose DECEPTION." Learn how the message was decoded and see the IT-Programmer Paul Vigay who did it ! 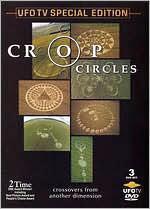 Terje Toftenes does not now believe in "Crop Circle" nonsense. In fact, he finds his earlier behaviour embarassing. Wankers being filmed using a nightscope making one. Michael Glickman is a devious little liar. He is 'not' a professor of any sort, he also knows all these things are man-made but prefers to milk the gravy train and carry on misleading people. He is not in the same league as Colin Andrews and is a self appointed 'researcher'. Colin Andrews has more honour in his little finger than Glickman has in his whole, sickly body. Glickman went really vindictive and malicious toward Colin Andrews when he did the decent thing and openly exposed these forgeries. Glickman has also treated many others woefully as one by one they all accept they are man-made, but Glickman being a zealot will not tolerate this.